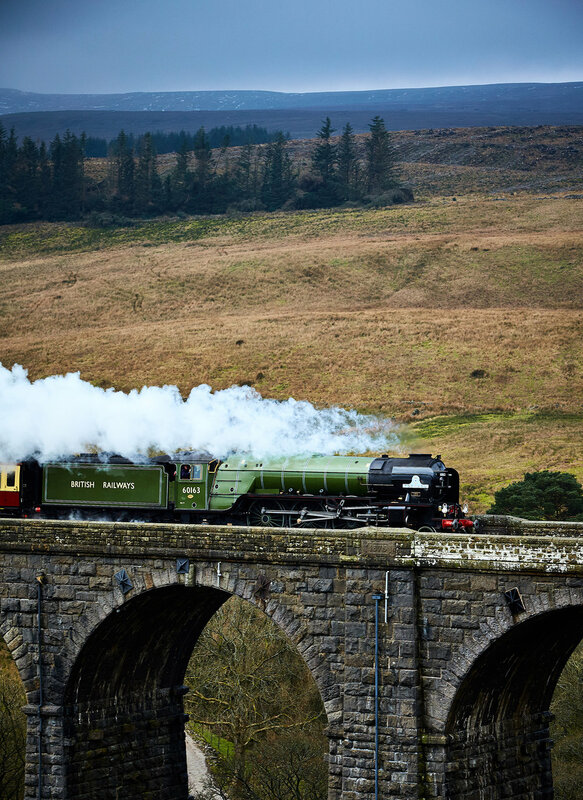 On the 31st March 2017 as part of the re-opening celebrations of the Settle & Carlisle railway there will be a commemorative railtour from Oxenhope to Carlisle behind ‘Flying Scotsman’. In February 2016, after a 500,000 tonne landslip north of Armathwaite the railway was closed north of Appleby. At over 240 feet above the River Eden, re-instatement of the subsided section was to be the subject of a £23 million engineering project involving the building of an enormous concrete and steel structure beneath the railway. As part of my work on the 2009 FSA annual report I photographed the interior of the 'National Railway Museum' in York, I also photographed parts for 'Flying Scotsman' as part of the ongoing renovation. 'Scotsman' needs to be photographed on the Settle & Carlisle line later this year and as I'm not a train spotter I thought the running of the new Peppercorn class A1 Pacific steam locomotive 'Tornado' on the Settle to Carlisle Railway was an opportunity not to be missed. Deciding to give the circus at Ribblehead Viaduct a wide birth, I drove in to Dentdale to set up at Dent Head Viaduct. A busy week leading up to my one free day meant I had to wing it, not my normal style even though I tell myself this is just a practice for later in the year.